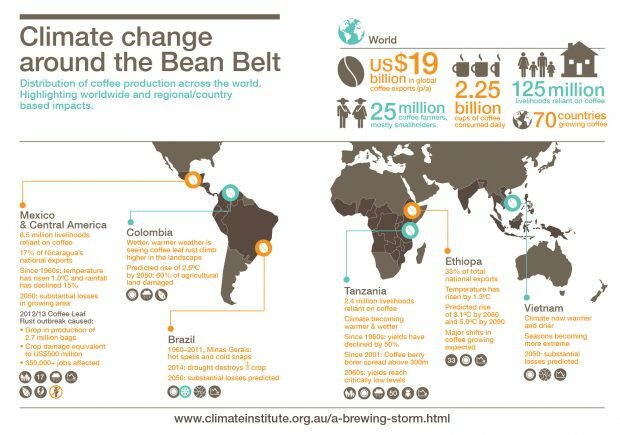 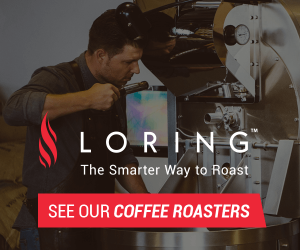 The Climate Institute of Sydney, Australia, has issued a new report that amply sums up the long-term threats to coffee production and the coffee industry at large due to climate change. 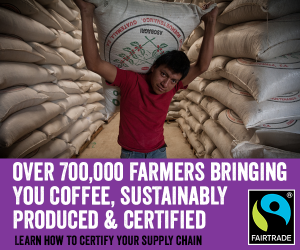 The study was commissioned by Fairtrade Australia and New Zealand, with the stated goal of better understanding the impacts of climate on global supply. 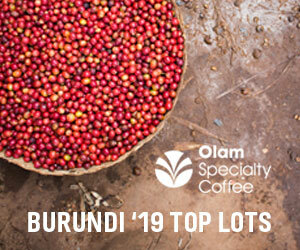 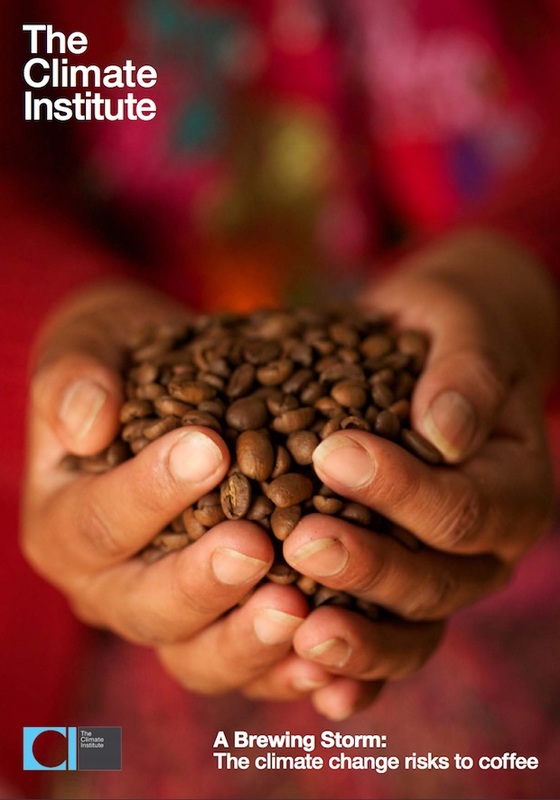 Though it didn’t involve new research, the study does explore and illuminate important recent regional and global research that has suggested a troubling future for coffee, particularly the more sensitive and higher-quality Arabica species. 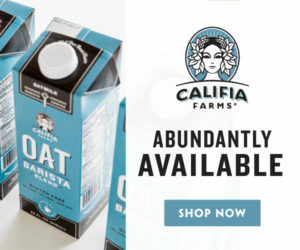 Additionally, it juxtaposes the threats to long-term global supply with the incremental but steady rises in historical consumption, furthering the notion that the relationship between supply and demand will become increasingly imbalanced. 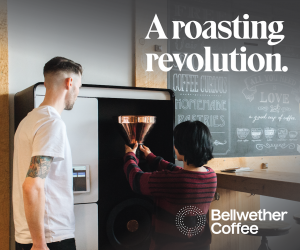 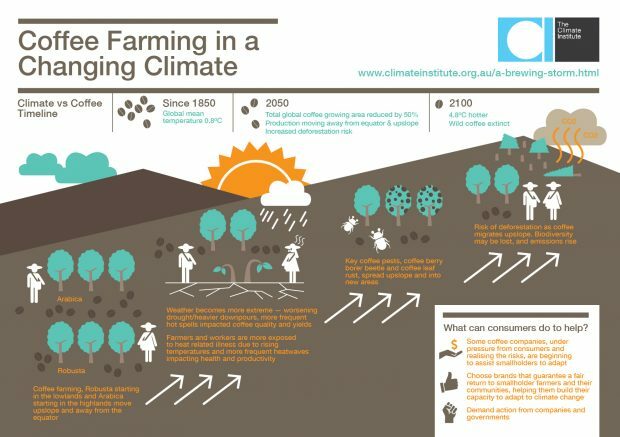 As a kind of primer on coffee production and climate change, the report also offers several visually striking infographics to help drive the message home, particularly among consumers interested in the issue and how they might mitigate their own impact by ensuring the coffee they buy is as responsibly sourced as possible.